I’m afraid I’m a bit behind on this post since Christmas is over, but our tree is still up so I thought I would share anyway. 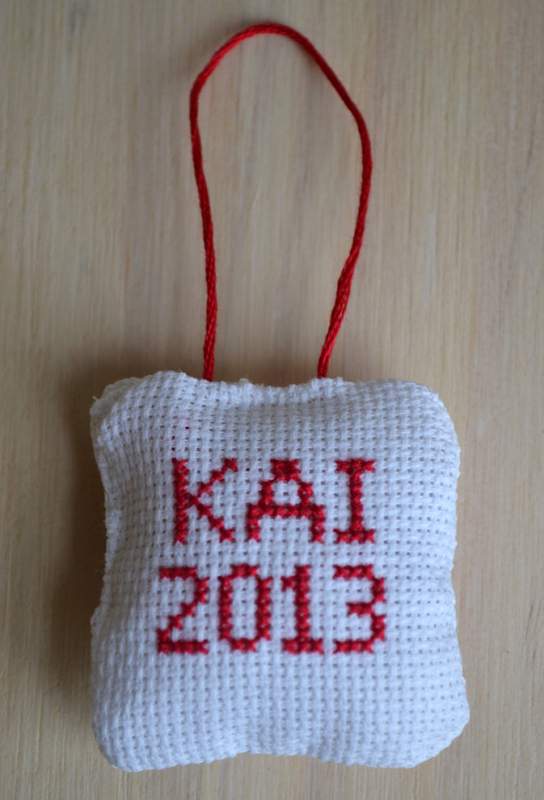 I wanted to make a handmade ornament to commemorate the baby’s first Christmas. 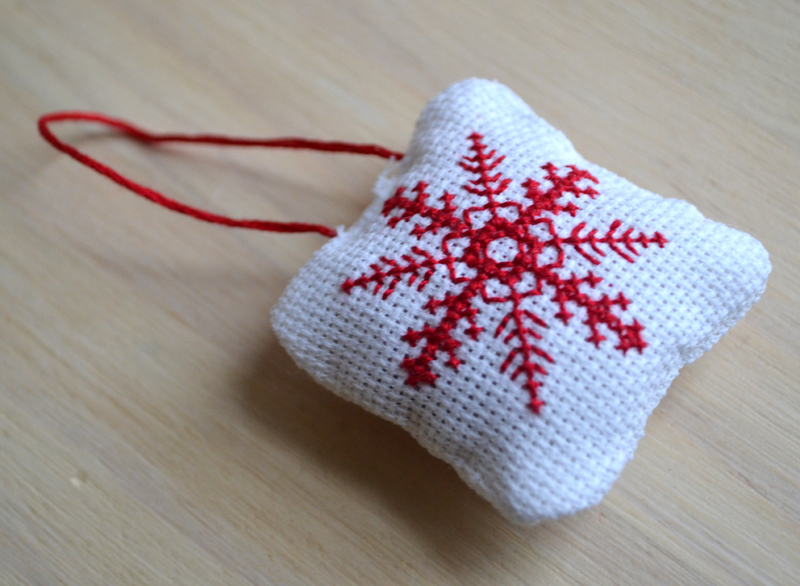 On one side I embroidered a snowflake, using a pattern I found online here. On the other side I embroidered the baby’s name and the year using this font. 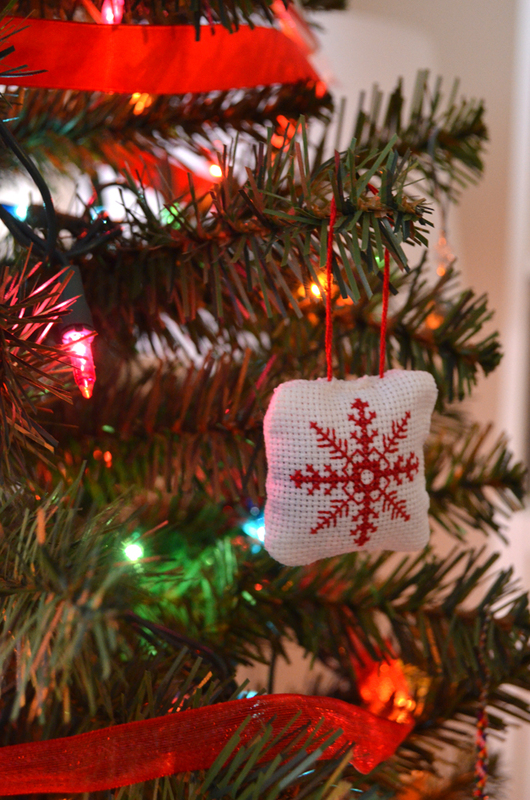 I finished the ornament by sewing up the edges, adding a loop and stuffing the interior. In the stuffing I included a tiny lock of hair from his first haircut (more like trim) as a sentimental/old-fashioned/creepy tribute. It’s a great little ornament on our tree that we can look forward to hanging each year.